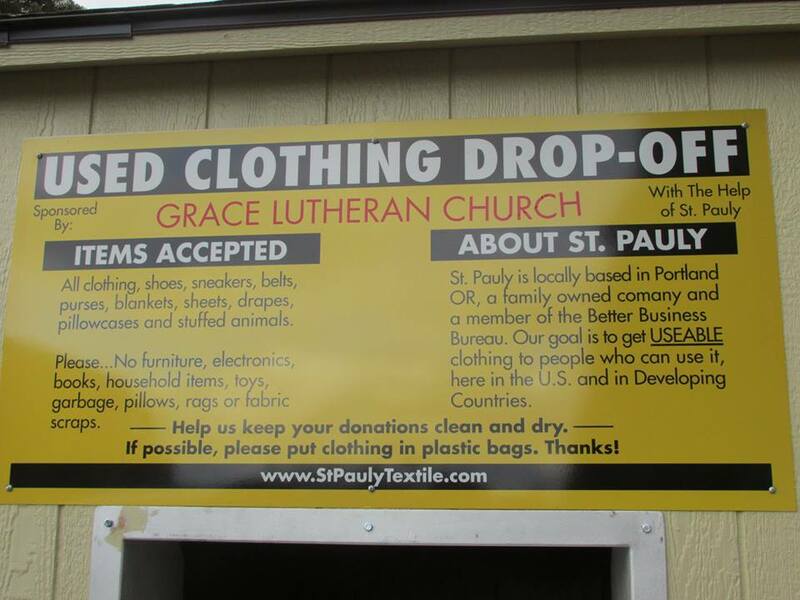 St. Pauly Textile’s mission is to collect used clothing to share with people in need, both here in the United States and all over the world. All the clothing items collected are shipped whole-garment and intact, and will be worn or used by someone, somewhere. Last year, they were able to collect about 60 million items that reached an estimated 7 million people. We are excited to partner with them in this mission! 1. Fill a bag (tied closed, if possible) with your used clothing, shoes, sneakers, belts, purses, blankets, sheets, pillowcases, drapes and stuffed toys. Please do not include rags, fabric scraps, pillows, toys or household goods. 2. 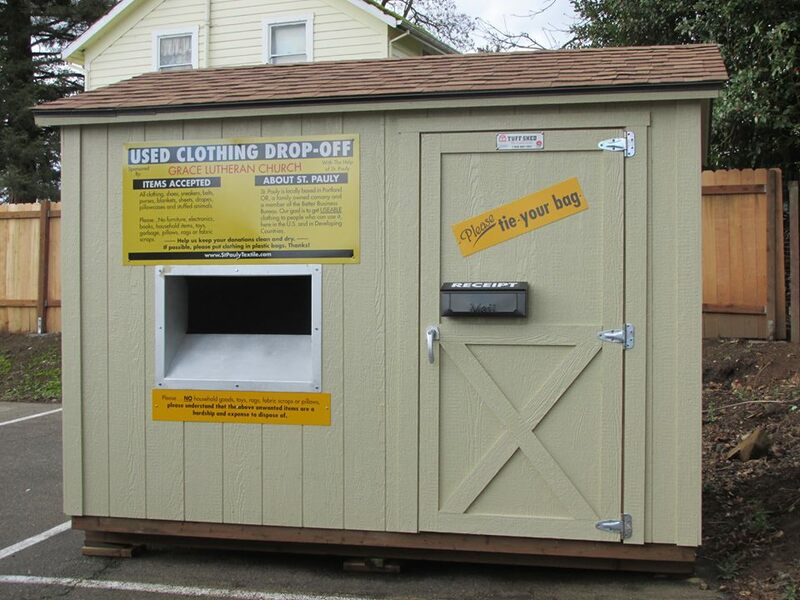 Bring it to the shed located in Grace Lutheran’s parking lot – drop it in the chute! 3. Take a receipt for the tax deduction (located in the mailbox to the right of the chute). Your donation will help us keep usable clothes out of the landfill, provide you with a tax donation, and provided clothes for those in need.